Hello and Welcome to the Matt Lauder Gallery where on show is my passion for photography over the past 20 years. I have photos from all around Australia taken from the air, on land and also in the sea with a focus along the New South Wales Coastline in particular between Newcastle and Sydney. I have one of the largest collection of high end photos taken when nature is at it’s finest. Crazy sunrises and sunsets, storm fronts, aerial photos of pristine summers day where the beaches are packed and the water is aqua green, photos taken inside curling waves, surfers, the list goes on. Our home page is a gateway into what my website has to offer, but the Main Image Gallery is its heart. You can get lost for hours looking at the images, reading articles in the blog on how to improve your own photography, listening to podcasts I have done talking about my experiences. Or just get straight into it and finding something you like in the gallery or E-shop and let us make you an artwork that will last a lifetime on your wall or that of a friend. Can’t Pick? Get a Gift Card! 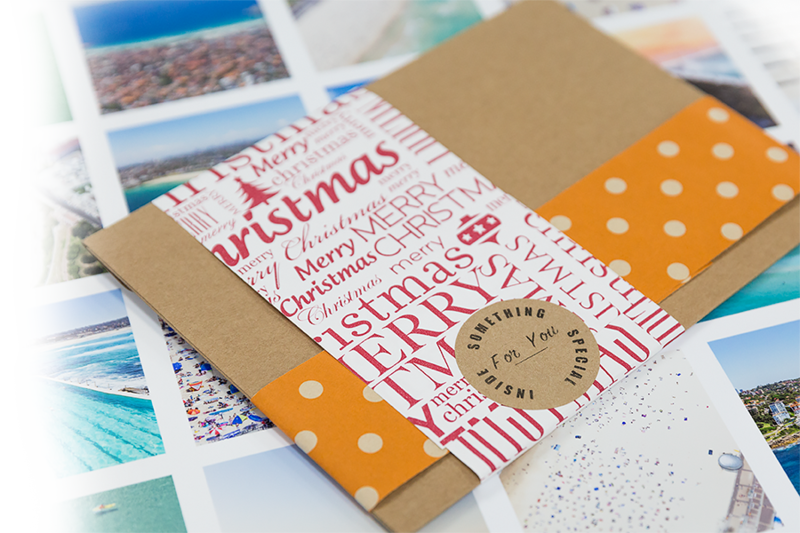 We have an amazing range of photos for you to choose from that are taken from all over Australia, but when your choice for someone as a gift it can be a tough choice, so why not get them a gift card. Your gift card can be printed or even emailed to you with an easy to use code that is entered into the shopping cart. Include a personal message that we will include, the card can be customised for the special event. Even with our own photo lab and picture framing studio, we can make customers order very quickly from scratch, but sometimes you need a gift that can be sent out today, or you might just want to take advantage of the item being ready or it’s on sale. This is where our online E-Shop is ready for you. All these products are brand new, they have just been premade waiting for a new home. Our E-Shop is also home to our range of books, greeting cards, posters and other online products. 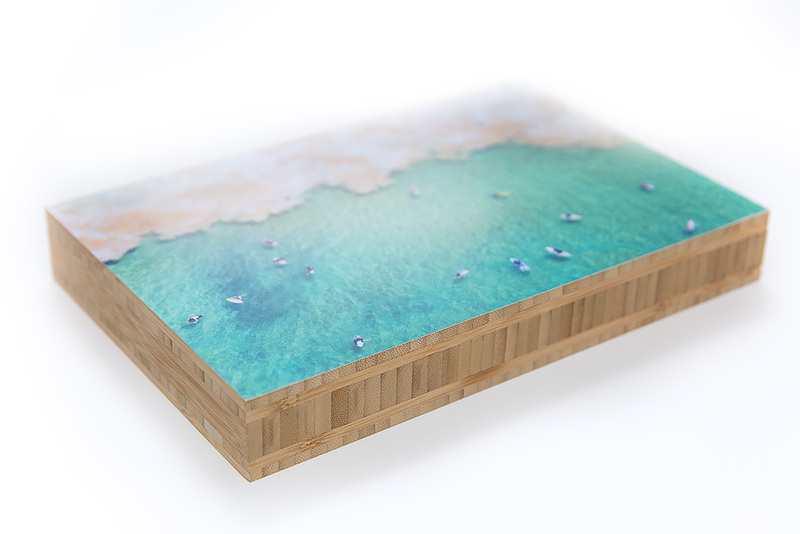 Now available for all of our aerial and surf photos is our Eco bamboo block. The block is 4 cm thick making it free standing. Both sides have a decorative edge as a result of the layers of bamboo that make the block. We then mount the block to a 12 x 8 inch (30 x 20cm) photo that has a protective laminate over the image. The block comes in its own presentation box. Check out our image range in the main gallery. Just here on the website, we process over 700 unique orders from customers all over Australia and the World every year. So we thought we would give you a sneak peek into whats been shipped from our gallery and photo lab. Over the past 20 years as a photographer, Matt has also been a keen teacher of photography to amateur and semi-professional photographers. Matt now has an ever growing knowledge base of articles on his blog along with a range of group and private photography classes that he runs.